Renuka do Brasil is based on a development model that focuses on Economic Development, Social Responsibility, and Environmental Awareness, and is one of the founders of Project CERETAS. CERETAS' objective is recovery of animals wounded by accident or mistreatment. They have the goal of receiving, screening, and treating wild animals rescued or caught by fiscal organizations. 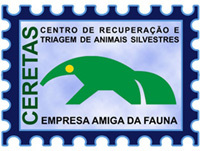 Project CERETAS is maintained by 18 (eighteen) mills and distilleries, called, "companies friendly to wildlife" and is in the process of finalizing construction, in an area made available by UNESP – Sao Paulo State University, in the municipality of Araçatuba, SP. Click here to learn more about Project CERETAS.